Citation: Alexandra K. Jonko and Karen M. Shell, Benjamin M. Sanderson and Gokhan Danabasoglu, Journal of Climate 2012, doi: http://dx.doi.org/10.1175/JCLI-D-12-00479.1. 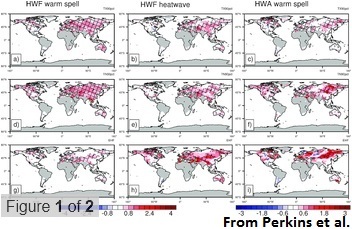 Citation: Perkins, S. E., L. V. Alexander, and J. R. Nairn (2012), Increasing frequency, intensity and duration of observed global heatwaves and warm spells, Geophys. Res. Lett., 39, L20714, doi:10.1029/2012GL053361. Citation: Umezawa, T., T. Machida, S. Aoki, and T. Nakazawa (2012), Contributions of natural and anthropogenic sources to atmospheric methane variations over western Siberia estimated from its carbon and hydrogen isotopes, Global Biogeochem. Cycles, 26, GB4009, doi:10.1029/2011GB004232. Citation: Abbot, D. S., A. Voigt, M. Branson, R. T. Pierrehumbert, D. Pollard, G. Le Hir, and D. D. B. Koll (2012), Clouds and Snowball Earth deglaciation, Geophys. Res. Lett., 39, L20711, doi:10.1029/2012GL052861. Citation: Weaver, A. J., et al. (2012), Stability of the Atlantic meridional overturning circulation: A model intercomparison, Geophys. Res. Lett., 39, L20709, doi:10.1029/2012GL053763. Citation: Muhuddin Rajin Anwar, De Li Liu, Ian Macadam and Georgina Kelly, Theoretical and Applied Climatology, 2012, DOI: 10.1007/s00704-012-0780-1. Citation: Sedláček, J. and R. Knutti (2012), Evidence for external forcing on 20th-century climate from combined ocean-atmosphere warming patterns, Geophys. Res. Lett., 39, L20708, doi:10.1029/2012GL053262. Citation: Ferré, B., J. Mienert, and T. Feseker (2012), Ocean temperature variability for the past 60 years on the Norwegian-Svalbard margin influences gas hydrate stability on human time scales, J. Geophys. Res., 117, C10017, doi:10.1029/2012JC008300. Citation: Humphreys, W. J., Astrophysical Journal, vol. 29, p.14, DOI: 10.1086/141615. This week’s papers look into rice growth, ice sheet temperature response, invasive species, Greenland temperatures, global warming trends, carbon dioxide emissions, sea level, solar forcing, ozone depletion, ski tourism, tropopause, and sea ice vs. winter climate. Citation: Yang, S. and J. H. Christensen (2012), Arctic sea ice reduction and European cold winters in CMIP5 climate change experiments, Geophys. Res. Lett., 39, L20707, doi:10.1029/2012GL053338. Citation: Feng, S., Y. Fu, and Q. Xiao (2012), Trends in the global tropopause thickness revealed by radiosondes, Geophys. Res. Lett., 39, L20706, doi:10.1029/2012GL053460. Citation: Debbie Hopkins, James E. S. Higham and Susanne Becken, Regional Environmental Change, 2012, DOI: 10.1007/s10113-012-0352-z. Citation: Bitz, C. M. and L. M. Polvani (2012), Antarctic climate response to stratospheric ozone depletion in a fine resolution ocean climate model, Geophys. Res. Lett., 39, L20705, doi:10.1029/2012GL053393. Citation: U Kokfelt, R Muscheler, The Holocene October 18, 2012 0959683612460781, doi: 10.1177/0959683612460781. Citation: Ryan L. Sriver, Nathan M. Urban, Roman Olson and Klaus Keller, Climatic Change, 2012, DOI: 10.1007/s10584-012-0610-6. Citation: Nordbo, A., L. Jarvi, S. Haapanala, C. R. Wood, and T. Vesala (2012), Fraction of natural area as main predictor of net CO2 emissions from cities, Geophys. Res. Lett., doi:10.1029/2012GL053087. Citation: Jiansong Zhou and Ka-Kit Tung, Journal of the Atmospheric Sciences 2012. Citation: Bianca B. Perren, Alexander P. Wolfe, Colin A. Cooke, Kurt H. Kjær, David Mazzucchi and Eric J. Steig, Geology, v. 40 no. 11 p. 1003-1006, doi: 10.1130/G33621.1. Citation: Cascade J. B. Sorte, Ines Ibáñez, Dana M. Blumenthal, Nicole A. Molinari, Luke P. Miller, Edwin D. Grosholz, Jeffrey M. Diez, Carla M. D’Antonio, Julian D. Olden, Sierra J. Jones, Jeffrey S. Dukes, Ecology Letters, DOI: 10.1111/ele.12017. Citation: Samuel E. Kelley, Jason P. Briner, Nicolás E. Young, Gregory S. Babonis, Bea Csatho, Quaternary Science Reviews, Volume 56, 21 November 2012, Pages 89–98, http://dx.doi.org/10.1016/j.quascirev.2012.09.016. Citation: Tianyi Zhang, Yao Huang, Xiaoguang Yang, Global Change Biology, DOI: 10.1111/gcb.12057. Citation: William Albert Setchell, Annals of the Missouri Botanical Garden, Vol. 2, No. 1/2, Anniversary Proceedings (Feb. – Apr., 1915) (pp. 287-305). It seems that this week I felt nostalgic as there are plenty of papers on past climate in this week’s batch. Perhaps I just miss the good old days when climate was all nice. Citation: Gardner, A., Moholdt, G., Arendt, A., and Wouters, B.: Accelerated contributions of Canada’s Baffin and Bylot Island glaciers to sea level rise over the past half century, The Cryosphere, 6, 1103-1125, doi:10.5194/tc-6-1103-2012, 2012. Citation: McCarthy, G., E. Frajka-Williams, W. E. Johns, M. O. Baringer, C. S. Meinen, H. L. Bryden, D. Rayner, A. Duchez, C. Roberts, and S. A. Cunningham (2012), Observed interannual variability of the Atlantic meridional overturning circulation at 26.5°N, Geophys. Res. Lett., 39, L19609, doi:10.1029/2012GL052933. Citation: G. B. Sahoo, S. G. Schladow, J. E. Reuter, R. Coats, M. Dettinger, J. Riverson, B. Wolfe and M. Costa-Cabral, Climatic Change, 2012, DOI: 10.1007/s10584-012-0600-8. 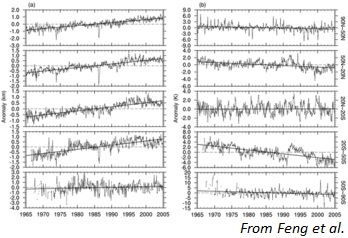 Citation: Brohan, P., Allan, R., Freeman, E., Wheeler, D., Wilkinson, C., and Williamson, F.: Constraining the temperature history of the past millennium using early instrumental observations, Clim. Past, 8, 1551-1563, doi:10.5194/cp-8-1551-2012, 2012. Citation: Gregory, J. M., Browne, O. J. H., Payne, A. J., Ridley, J. K., and Rutt, I. C.: Modelling large-scale ice-sheet–climate interactions following glacial inception, Clim. Past, 8, 1565-1580, doi:10.5194/cp-8-1565-2012, 2012. 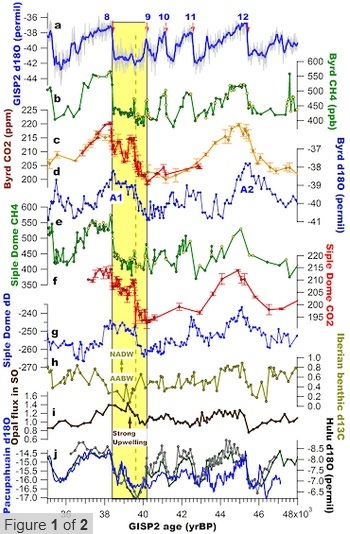 Citation: Blunier, T., Bender, M. L., Barnett, B., and von Fischer, J. C.: Planetary fertility during the past 400 ka based on the triple isotope composition of O2 in trapped gases from the Vostok ice core, Clim. Past, 8, 1509-1526, doi:10.5194/cp-8-1509-2012, 2012. Citation: Derksen, C. and R. Brown (2012), Spring snow cover extent reductions in the 2008–2012 period exceeding climate model projections, Geophys. Res. Lett., 39, L19504, doi:10.1029/2012GL053387. Citation: Kunz, M., M. A. 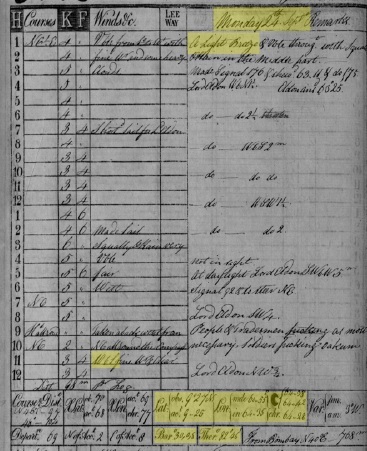 King, J. P. Mills, P. E. Miller, A. J. Fox, D. G. Vaughan, and S. H. Marsh (2012), Multi-decadal glacier surface lowering in the Antarctic Peninsula, Geophys. Res. Lett., 39, L19502, doi:10.1029/2012GL052823. Citation: Bamber, J. L., M. R. van den Broeke, J. Ettema, J. T. M. Lenaerts, and E. Rignot (2012), Recent large increases in freshwater fluxes from Greenland into the North Atlantic, Geophys. Res. Lett., doi:10.1029/2012GL052552. Citation: William W. Hay, Sascha Floegel, Earth-Science Reviews, http://dx.doi.org/10.1016/j.earscirev.2012.09.008. Citation: Harlow Shapley, The Journal of Geology, Vol. 29, No. 6 (Sep. – Oct., 1921) (pp. 502-504). Sun is the fireball in the sky that controlled Earth’s climate until mankind took the control. Sun still has some regional tricks, but in order to take back the control of global climate in near future, Sun would need to do some special tricks. Not Sun-related studies this week deal with climate scepticism, cloud height, methane emissions, ocean temperatures, Antarctic glaciers, 2011 sea level drop, ball lightning, surface specific humidity, model predictions, permafrost, past climate, European and East Asian summer temperatures, and some other things. There’s 15 studies + another 17 in other papers section, and I only include here a small fraction of all climate related papers. It was a rather busy week in climate science. Citation: Swingedouw, D., Terray, L., Servonnat, J., and Guiot, J.: Mechanisms for European summer temperature response to solar forcing over the last millennium, Clim. Past, 8, 1487-1495, doi:10.5194/cp-8-1487-2012, 2012. Citation: M Voiculescu and I Usoskin 2012 Environ. Res. Lett. 7 044004 doi:10.1088/1748-9326/7/4/044004. Citation: James Painter and Teresa Ashe 2012 Environ. Res. Lett. 7 044005 doi:10.1088/1748-9326/7/4/044005. Citation: Evan, A. T. and J. R. Norris (2012), On global changes in effective cloud height, Geophys. Res. Lett., 39, L19710, doi:10.1029/2012GL053171. 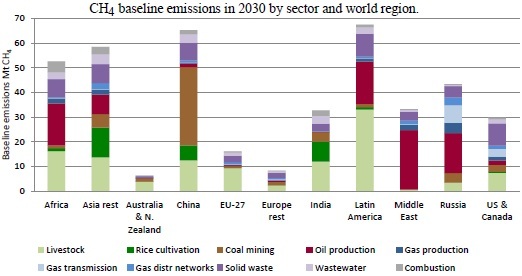 Citation: Höglund-Isaksson, L.: Global anthropogenic methane emissions 2005–2030: technical mitigation potentials and costs, Atmos. Chem. Phys., 12, 9079-9096, doi:10.5194/acp-12-9079-2012, 2012. Citation: Gouretski, V., J. Kennedy, T. Boyer, and A. Köhl (2012), Consistent near-surface ocean warming since 1900 in two largely independent observing networks, Geophys. Res. Lett., 39, L19606, doi:10.1029/2012GL052975. Citation: Flament, Thomas; Rémy, Frédérique, Journal of Glaciology, Volume 58, Number 211, September 2012 , pp. 830-840(11), DOI: http://dx.doi.org/10.3189/2012JoG11J118. Citation: Boening, C., J. K. Willis, F. W. Landerer, R. S. Nerem, and J. Fasullo (2012), The 2011 La Niña: So strong, the oceans fell, Geophys. Res. Lett., 39, L19602, doi:10.1029/2012GL053055. Citation: Lowke, J. J., D. Smith, K. E. Nelson, R. W. Crompton, and A. B. Murphy (2012), Birth of ball lightning, J. Geophys. Res., 117, D19107, doi:10.1029/2012JD017921. Citation: Barkhordarian, A., H. von Storch, and E. Zorita (2012), Anthropogenic forcing is a plausible explanation for the observed surface specific humidity trends over the Mediterranean area, Geophys. Res. Lett., 39, L19706, doi:10.1029/2012GL053026. Citation: Kharin, V. V., G. J. Boer, W. J. Merryfield, J. F. Scinocca, and W.-S. Lee (2012), Statistical adjustment of decadal predictions in a changing climate, Geophys. Res. Lett., 39, L19705, doi:10.1029/2012GL052647. How much permafrost will be lost during 21st century? Citation: Charles D. Koven, William J. Riley, and Alex Stern, Journal of Climate 2012, doi: http://dx.doi.org/10.1175/JCLI-D-12-00228.1. Citation: Melissa A. Berke, Thomas C. Johnson, Josef P. Werne, Kliti Grice, Stefan Schouten, Jaap S. Sinninghe Damsté, Quaternary Science Reviews, Volume 55, 8 November 2012, Pages 59–74, http://dx.doi.org/10.1016/j.quascirev.2012.08.014. Citation: Fischer, E. M., J. Rajczak, and C. Schär (2012), Changes in European summer temperature variability revisited, Geophys. Res. Lett., 39, L19702, doi:10.1029/2012GL052730. Why is there a summer cooling trend in East Asia? Citation: Bian He, Qing Bao, Jiandong Li, Guoxiong Wu, Yimin Liu, Xiaocong Wang and Zhaobo Sun, Climatic Change, 2012, DOI: 10.1007/s10584-012-0592-4. Abstract: No abstract. Deals with solar radiation basics. Citation: Atkins, W. R. G., The British Medical Journal, 1938, 2, 565. Studies from Africa have so far been rather rare in these weekly batches but this week we have two papers from Nigeria. They are about farmers and forests. We also have studies on Atlantic Warm Pool corals, atmospheric carbon dioxide, coal burning, coastal heat waves, climate effect of cosmic rays, Swiss forests, NAO state, and of course we have our weekly Arctic sea ice paper. Well, ok, in the other paper section we also have couple of Arctic sea ice papers. Permafrost also gets treated with couple of papers there. And… well, for the rest, see them yourself. Citation: Babatunde J. Abiodun, Ayobami T. Salami, Olaniran J. Matthew and Sola Odedokun, Climate Dynamics, 2012, DOI: 10.1007/s00382-012-1523-9. Citation: Vásquez-Bedoya, L. F., A. L. Cohen, D. W. Oppo, and P. Blanchon (2012), Corals record persistent multidecadal SST variability in the Atlantic Warm Pool since 1775AD, Paleoceanography, doi:10.1029/2012PA002313. Citation: Ahn, J., E. Brook, A. Schmittner, and K. J. Kreutz (2012), Abrupt change in atmospheric CO2 during the last ice age, Geophys. Res. Lett., doi:10.1029/2012GL053018. Citation: Chalmers, N., E. J. Highwood, E. Hawkins, R. T. Sutton, and L. J. Wilcox (2012), Aerosol contribution to the rapid warming of near-term climate under RCP 2.6, Geophys. Res. Lett., doi:10.1029/2012GL052848. Citation: Gershunov, A. and K. Guirguis (2012), California heat waves in the present and future, Geophys. Res. Lett., doi:10.1029/2012GL052979. Citation: Flocco, D., D. Schroeder, D. L. Feltham, and E. C. Hunke (2012), Impact of melt ponds on Arctic sea ice simulations from 1990 to 2007, J. Geophys. Res., doi:10.1029/2012JC008195. Citation: Laken, B., J. Čalogović, T. Shahbaz, and E. Pallé (2012), Examining a solar-climate link in diurnal temperature ranges, J. Geophys. Res., 117, D18112, doi:10.1029/2012JD017683. Citation: A. Rigling, C. Bigler, B. Eilmann, E. Feldmeyer-Christe, U. Gimmi, C. Ginzler, U. Graf, P. Mayer, G. Vacchiano, P. Weber, T. Wohlgemuth, R. Zweifel, M. Dobbertin, Global Change Biology, DOI: 10.1111/gcb.12038. Citation: Jesper Olsen, N. John Anderson, & Mads F. Knudsen, Nature Geoscience(2012), doi:10.1038/ngeo1589. Citation: Justice Akpene Tambo and Tahirou Abdoulaye, Regional Environmental Change, 2012, DOI: 10.1007/s10113-012-0351-0. Citation: K. G. Malmfors, Tellus, Volume 1, Issue 2, pages 55–61, May 1949, DOI: 10.1111/j.2153-3490.1949.tb01259.x.